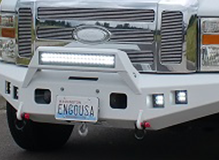 ENGO Industries has a winch for every need. With over 30 years of specialized experience, we know what it means to create a quality product that gets the job done. Our winches have world class features, innovative designs and the best warranty on the market. Whether you need hydraulic winches, electric winches, truck winches, ATV winches, or winch mounts, we’ve got you covered. By keeping you – the customer – at the heart of our business, we’ve developed a reputation for providing the right winch at the right price. 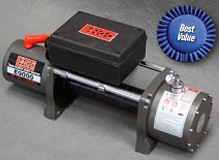 In fact, ENGO Winch was named the best value in a recent Four Wheeler Magazine winch shootout! Our global manufacturing facilities help us maintain our top quality performance, first class design and unbeatable warranty. From hydraulic winches to electric winches, our expanding winch selection has just the model and size that you need. 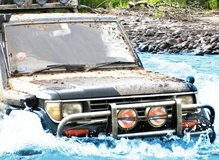 We’re ready to meet your off-road 4X4 truck, boat or ATV winch needs. Explore our most popular winch models or winch mounts and order your perfect winch online or call us at 1-360-573-0882 for live customer service.